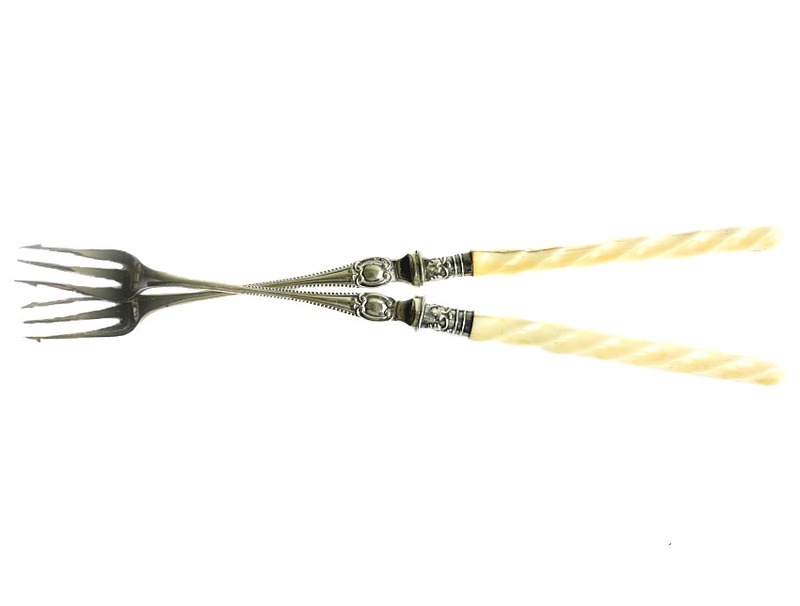 Antique Victorian Silver Plated Pickle Hors d'Oeuvres Serving Fork with a handle that has been crafted from animal ox bone which has been beautifully shaped with the twisted effect. 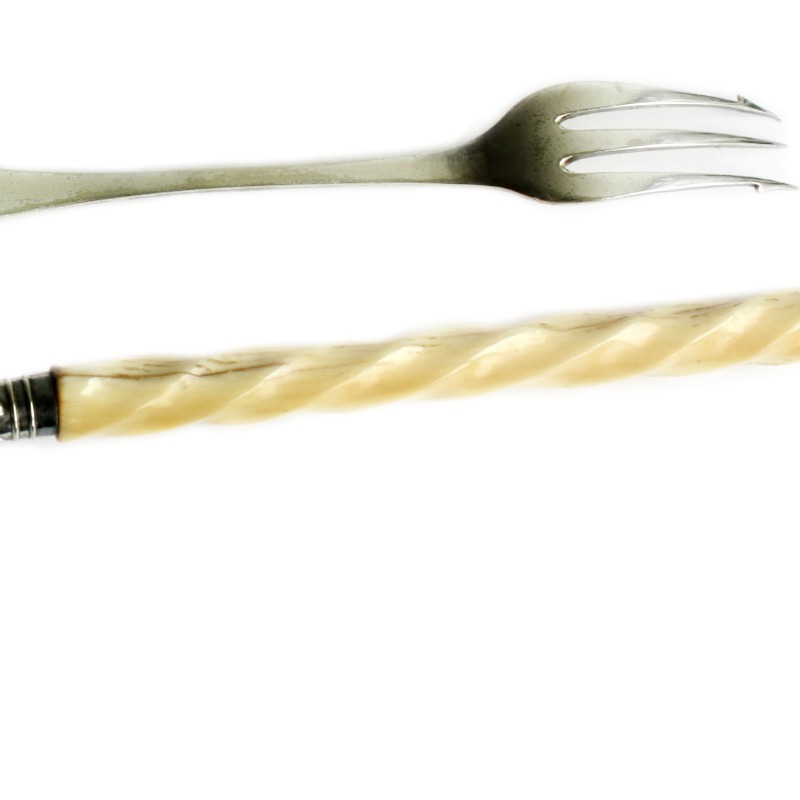 This beautiful fork features a decorative silver collar and the traditional pronged three tines. 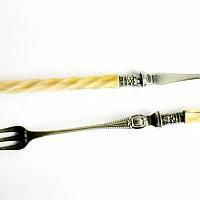 Made in Sheffield, England in the 1800's. There is wear, and patina, as is to be expected of heirloom pieces used at table for service, which only adds to the charm. Please note the separation in the handle down one side on both which is noticeable as highlighted. Please only buy these if you love the perfectly imperfect from more than 100 years ago! 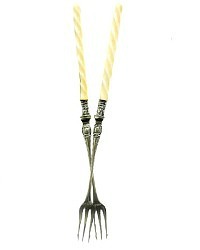 A fabulous luxury host or hostess gift when presented with a gourmet jar of pickles or olives. Make your home bar happy, sold as a pair.